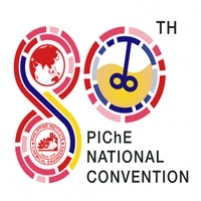 80th PIChE National Convention, "ENERGY: Radiating the Culture of Excellence Across Generations"
Brownstone- Asia Tech, Inc. will be participating in the 80th Philippine Institute of Chemical Engineers, Inc. (PIChE) . Please drop by at Exhibit Booths A1 & A2. We might be able to help you with your scientific needs as we feature our analytical solutions and laboratory testing equipment. See you there!